28/06/14. Shaqlawa, Iraq. 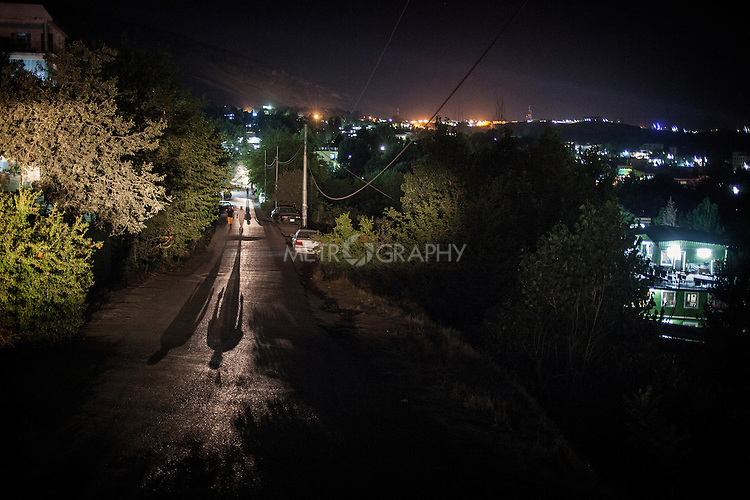 -- A view of Shaqlawa at night with two Internally displaced people walking up the hill.